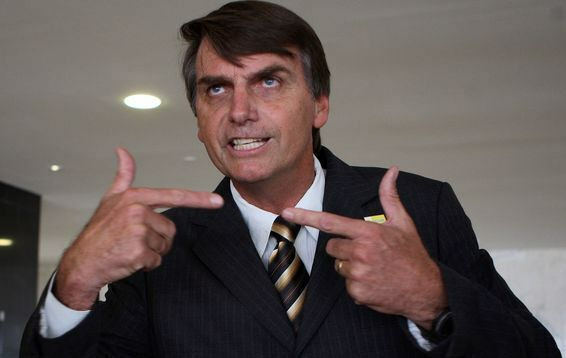 Jair Bolsonaro. Photo by Jeso Carneiro (Flickr). Jair Bolsonaro was swept to power in Brazil promising to take a hard line against criminals, politicians and social movements that, for him, represented the enemies of the “good citizens” who elected him. This violent discourse added to a history of hateful messages against opposition parties (especially the Workers’ Party) and especially against anything that resembles leftist ideology. But repression of social movements is not a novelty, nor did it begin with the inauguration of President Bolsonaro in 1 of January 2019. Twenty three activists have just been convicted in Rio de Janeiro for taking part in the June 2013 demonstrations and demonstrations against the World Cup the following year on July, 2018. These activists, sentenced to up to 7 years in jail for a series of violent crimes, were chosen to send a message to social movements and autonomous activists that demonstrations which threatens the government will not be tolerated. The only violence acceptable is the one promoted by the police. June 2013 was a turning point for Brazilian politics. Millions of people took the streets initially demanding the reduction of public transport fares, but soon protests blossomed into a more comprehensive demand for better public services and an end to corruption. Now a small group of those who were in the streets of Rio de Janeiro have been convicted, a direct blow to everyone who was supporting and taking part in the demonstrations. The Operation Car Wash was only possible because of this grassroots pressure. This ongoing criminal investigation into mass misappropriation and money laundering is looking into politicians from a wide swathe of Brazilian parties, and some of the country’s largest companies. The demonstrations catalysed the approval of the Anti-Corruption Law, punishing companies and allowing for leniency agreements in cases of crimes against public administration. But this success has been countered with a crackdown on the protesters which made it possible. The twenty three activists were convicted of gang conspiracy and corruption of minors (to assist or encourage a minor to commit an offense), as well as charges of possession of explosive devices, direct acts of violence and damage to property. The case reportedly involved planted evidence, destruction of character by the media as well as several attempts of intimidation and bogus accusations – such as the nebulous charge of “gang formation”. According to several law experts, the case presented considerable inconsistencies, treating the defendants in a generic way, without specifying what crimes were committed by each of the 23, instead treaing them as a uniform group, all collectively culpable. They were painted as having “a distorted personality, disrespectful towards the constituted powers”- implying that the mere act of protest would constitutes an existential threat to the executive and legislative powers of Rio de Janeiro. The sentence was not a surprise. Activists have long been under pressure from a style of policing which relies on hearsay and spurious evidence to try and single out individual ‘troublemakers’ for punishment. This isn’t so much about establishing the facts as fomenting an atmosphere of fear and paranoia. Police even named anarchist philosopher Mikhail Bakunin, as one of the potential suspects to foment violent demonstrations in June 2013. To many, the conviction of the 23 of Rio is part of the logic of trying to stifle dissenting voices, to prevent further demonstrations against the scandals of public money misappropriation, kickbacks and collusion between public managers and private companies, which have led Rio de Janeiro to the largest political and financial crisis of its history. Although the protests spread throughout Brazil, there was not a single political target (political parties or politicians) but the political class as a whole and mayors and governors who had raised the price of public transportation fares that year in particular. The response of the political class was unanimous: police violence and repression. As the violence grew, more people took to the streets, galvanised by increasingly violent police actions. After 2013, the country saw demonstrations against the World Cup and the Olympics in Rio , as well as occupations in schools throughout the country, in 2014, in defense of public education. 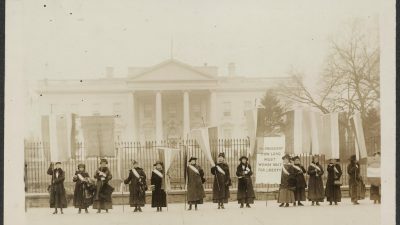 Protests were organized in an autonomous, horizontal way, without visible leadership and with an eminently left-wing character. With the World Cup set for next year, the Workers’ Party (PT) and then-President Dilma Rousseff felt directly attacked. Although party politicians and activists had actively participated in MPL protests in the previous year, they chose to criminalize the movement and openly advocate for further repression, with the provision of special elite police force, the National Public Security Force, to crush the protests across the country. To neutralise the protests, they used a combined tactics of violent policing and targeted prosecutions of high-profile activists. This mobilisation was mirrored in 2015-2016 with massive protests organised by right-wing and conservative groups for the impeachment of the then president Dilma Rousseff, who ended up leaving power after a voting in the Brazilian parliament.. A prominent member of this alliance was the Free Brazil Movement, the same one that organized protests against art exhibitions which would offend family values and promote a so-called “gender ideology”. Thus, Workers’ Party found itself having enthusiastically promoted the repression of left-wing and autonomous social movements. This attempt to quash left wing organisations’ ability to mobilise against the Workers’ Party, was part of a long process of cooptation of social movements and trade unions, which, together with the crackdown on protests, empties the streets of let radicals and left space for other political forces to occupy them. The Worker’s Party hollowed out their own base of support. In the meanwhile, traditional left methods of pressure, such as massive popular demonstrations, were appropriated by right-wing parties and organisations – tactics which succeeded first in deposing a president, and later in securing the candidacy of a far-right candidate with a track record of homophobia, sexism, and racism, Jair Bolsonaro. Bolsonaro is a former army captain with a mediocre political biography and collection of lawsuits for, among other things, preaching hatred against minorities. Bolsonaro was elevated to power by a number of factors. On the one hand, the PT’s more than ten years in power left the country in one of its greatest economic crises, culminating in a series of corruption scandals and Rousseff’s impeachment. He was able to play to conservative discourses promoting ‘family values’ against the growing threat of LGBT and feminist movements, and was vehement in his defence of nationalism and liberalising the economy. He galvanised support in the military, and created a coalition through fearmongering about migrants and racial minorities. 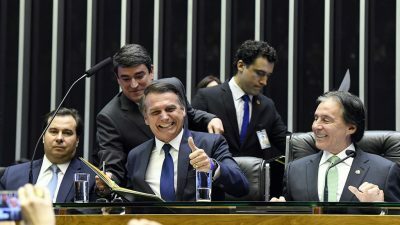 Bolsonaro was able to capitalize on the population’s dissatisfaction with a radical discourse of change, preaching hard measures in the fight against corruption and using his personal history as the main propaganda tool – to date the new president has no conviction for corruption crimes, despite being the target of several lawsuits. 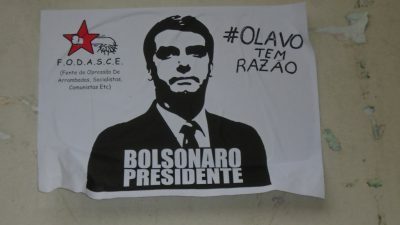 Faced with his sexism and the threat posed to the country (and especially to women) of his candidacy for presidency, an autonomous movement was formed initially online with the creation of the group “Women united against Bolsonaro” on Facebook, which gathered more than 2 million women, until being attacked by hackers supporters of Bolsonaro. This movement eventually took to the streets and also created the hashtag #EleNão (#NotHim), preaching the vote in the first round of October 2018 elections in any candidate, except in Bolsonaro. The Workers’ Party focused their electoral efforts not on resisting the criminalisation of the grassroots opposition to Bolsonaro, but the prosecution former President Luís Inácio Lula da Silva, sentenced to 9 years in prison for corruption and money laundering. Their crackdown on the protestors was mirrored in their inability to speak to the popular discontent which drew people onto the streets in the first place. Both left space for right-wing militants and demagogues to claim crucial political territory. On September 30, 2018, in more than 100 cities around the world, thousands of people took to the streets in the biggest demonstrations since the protests for Dilma Rousseff’s impeachment, but sharing the values ​​of June 2013 – horizontality, progressive agenda – asking that the population wouldn’t elect Bolsonaro president of Brazil. The protests were entirely organized through Facebook groups and other social networks, with no apparent leadership, and a feeling of revolt at the danger posed by Bolsonaro’s candidacy, whose supporters have, by the time of the election, been responsible for more than 50 attacks against LGBT, feminists and black activists. Neither the protests nor the national and international pressure were able to prevent Bolsonaro from winning the first round of the elections and also did not prevent him from being finally elected in the second round, on October 27. The #EleNão protests were apparently no more a spark than a real fire and were not able to contain the fascist wave has been threatening to take over the country in a clear demonstration of bankruptcy of institutions in their ability to respond to popular demands. 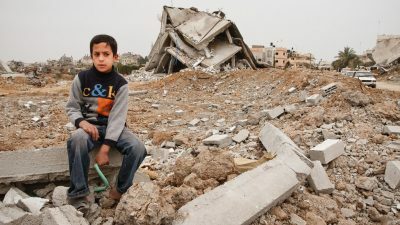 The street movements which had once proved themselves capable of delivering radical change had been crushed, and so those trying to avoid the distaster of a fascist government were left playing catch up. During the electoral campaign Bolsonaro declared war on the press, who he accused of spreading fake news – much like Donald Trump, who Bolsonaro counts as an idol and a role model by Bolsonaro. He also stated that was going to cut federal funding to news outlets and would support a “new media” that won’t be “ideologically biased”. In other words, a media that he could control. Once again, the space for opposition is narrowed – both in the streets and in the broadsheets. The vacuum created by the subjugation of the left by force of violence opened space for right-wing and far-right groups to occupy the streets and political spaces of discontent – and contribute to Dilma Rousseff’s impeachment. Faced with the political class’ inability or unwillingness respond to the wishes of the population on both sides of the political spectrum led to a radicalization never before seen. This is the climate in which in which the candidacy of a fascist turned out to be viable. Bolsonaro’s use of the violent police tactics – potentially the military – against ordinary citizens should be huge cause for concern. He was elected with a mandate and a will to quash any left wing opposition, by any means necessary – so opposing his fascistic regime will prove ever more. But such policies are part of a long. Undoing these wrongs will take more than deposing Bolsonaro – it will involve restoring the democratic right of all Brazilian citizens to raise their voices to have a say in how their country is run. Did fake news win the Brazilian election? 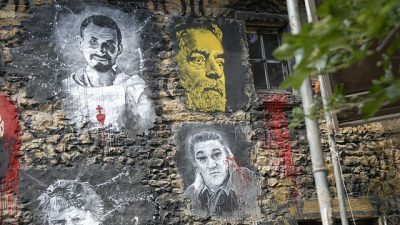 As the Brazilian Election looms, Alfredo Saad-Filho examines what Lula da Silva's prosecution means for the future of democracy.